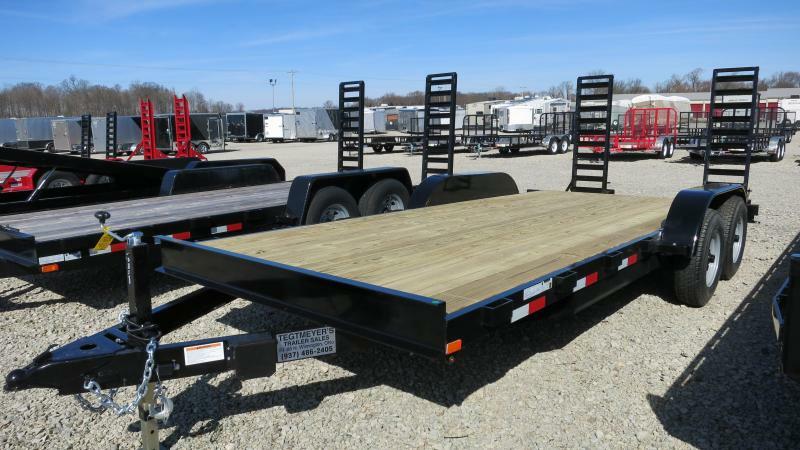 The 82x18 Quality Trailer Tandem Axle Wood Floor General Duty Flatbed has treated wood floor, Wrap Tongue, 2 brake axle, 5' swing up ramps with support foot, and Silver Mod Wheels with ST235/80 R16 10 ply Radial tires. 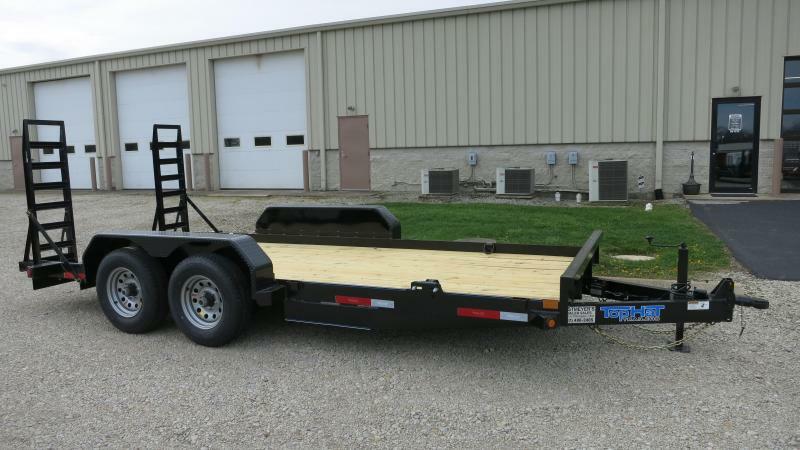 The trailer as 14,000 GVW and is black in color. 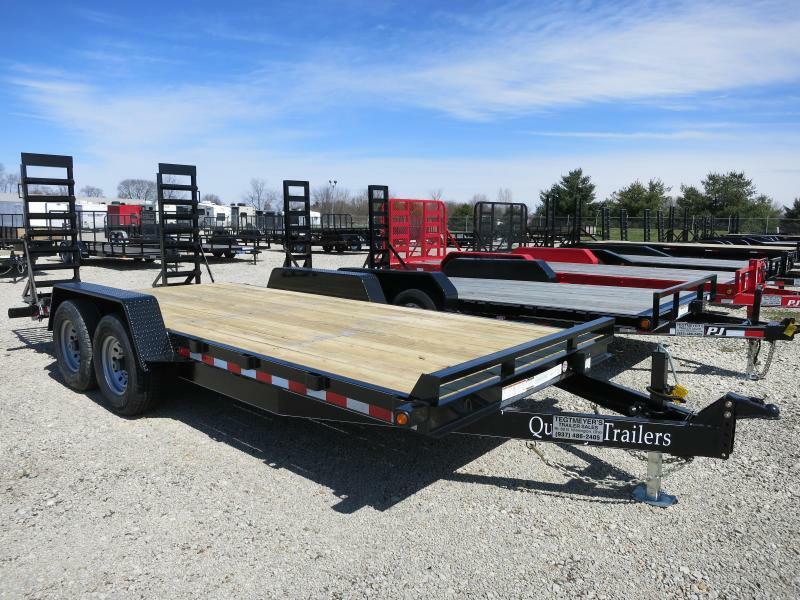 Quality Trailers "Our Name Says It All"
Quality Trailers manufactures fender Equipment Trailers in three categories of component features. 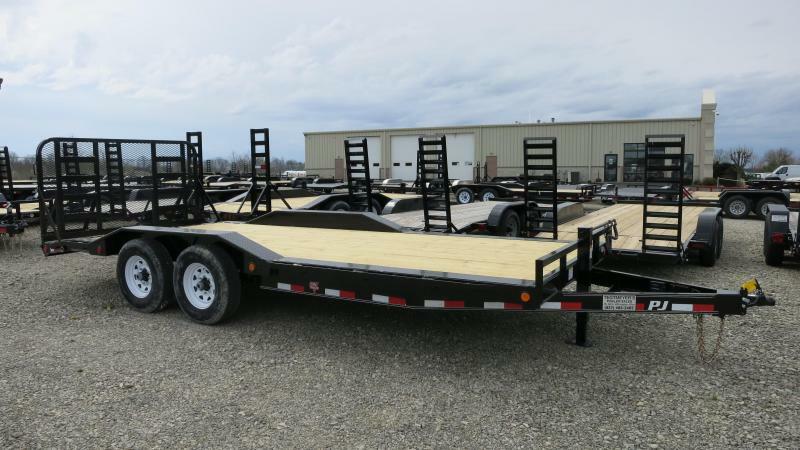 Our Economy Series Equipment Trailers are available in both 8,000 lb. and 10,000 lb. GVWRs. The main frame on both models is 5 in. channel with 3 in. channel crossmembers on 24 in. centers. The 8,000 lb. model is built with a 4 in. channel tongue and the 10,000 lb. model steps up to a 5 in. channel tongue. 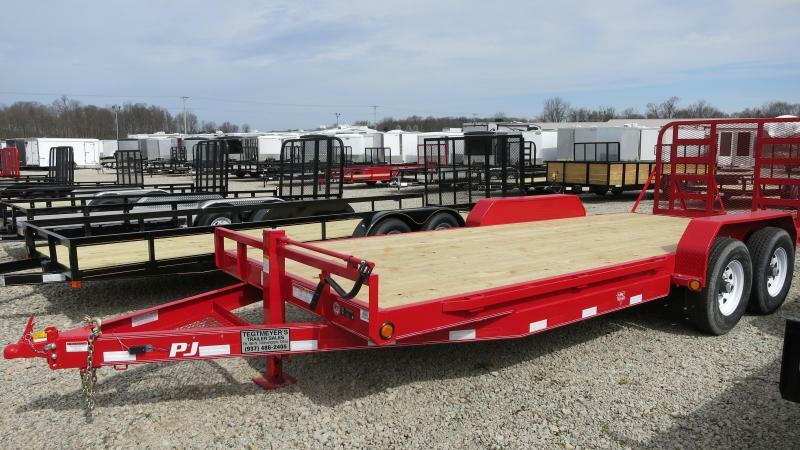 A-frame coupler, top wind jack, stake pockets, and DOT approved lighting give a durable trailer for an economical price. 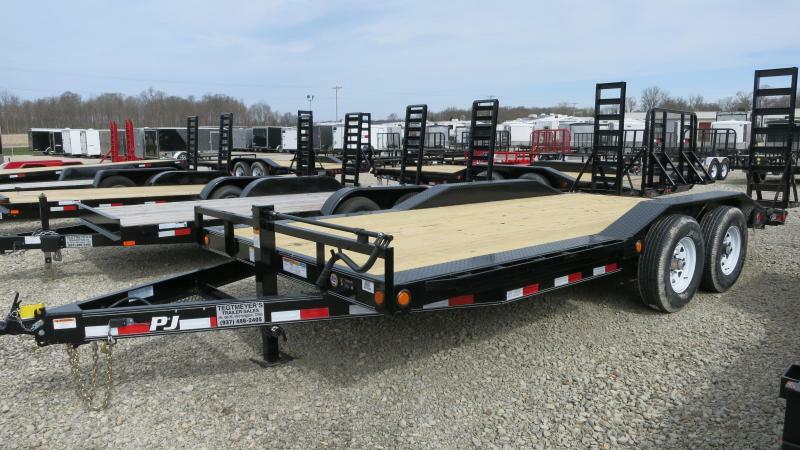 Our General Duty Equipment Trailers are available in 10,000 lb., 12,000 lb., and 14,000 lb. GVWR's. 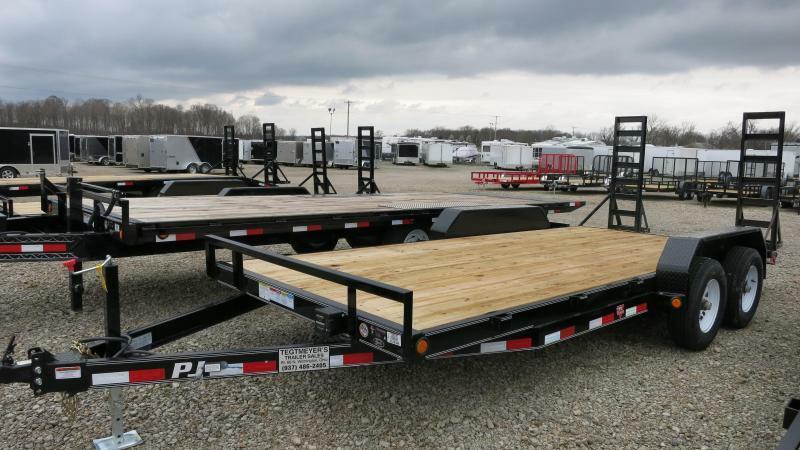 These trailers are all built with a 6 in. channel main frame and 3 in. crossmembers on 24 in. centers. The 10,000 lb. model is built with a 5 in. 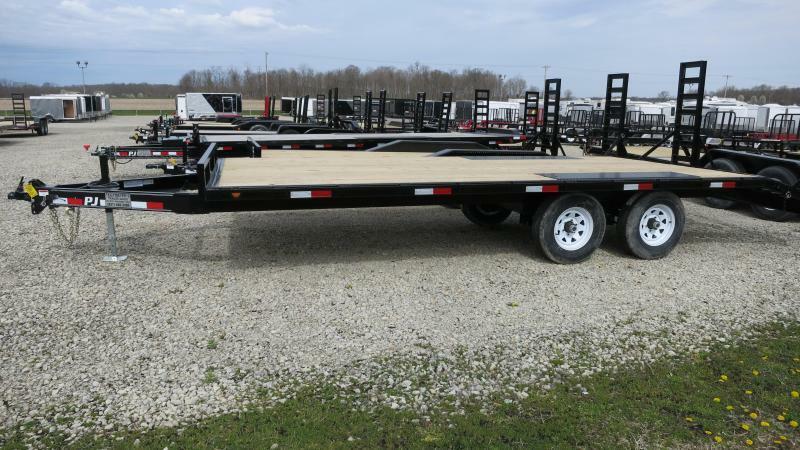 channel tongue and has 225/75 R15 radial tires. 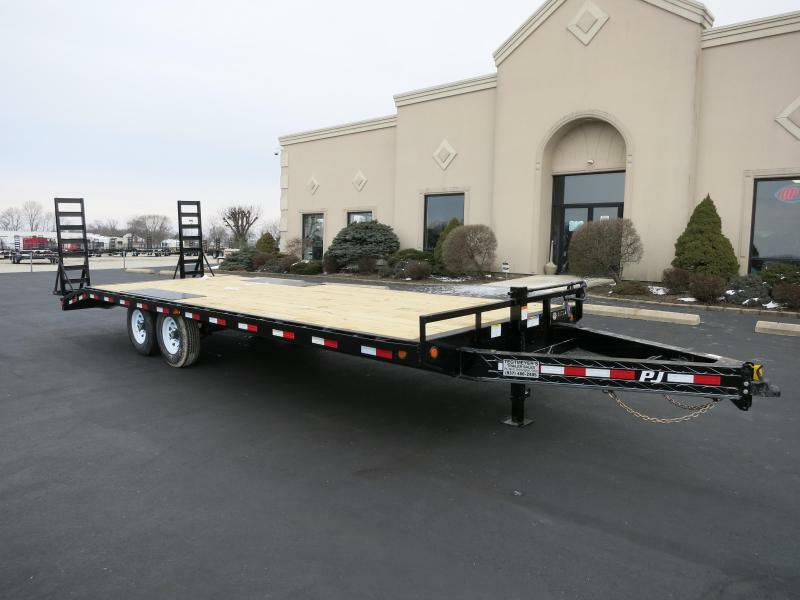 The 12,000 lb. and 14,000 lb. models are built with a heavier duty 6 in. channel tongue and have 235/80 R16 radial tires. 5 ft. swing up ramps, 2 5/16 in. adjustable coupler, 7,000 lb. 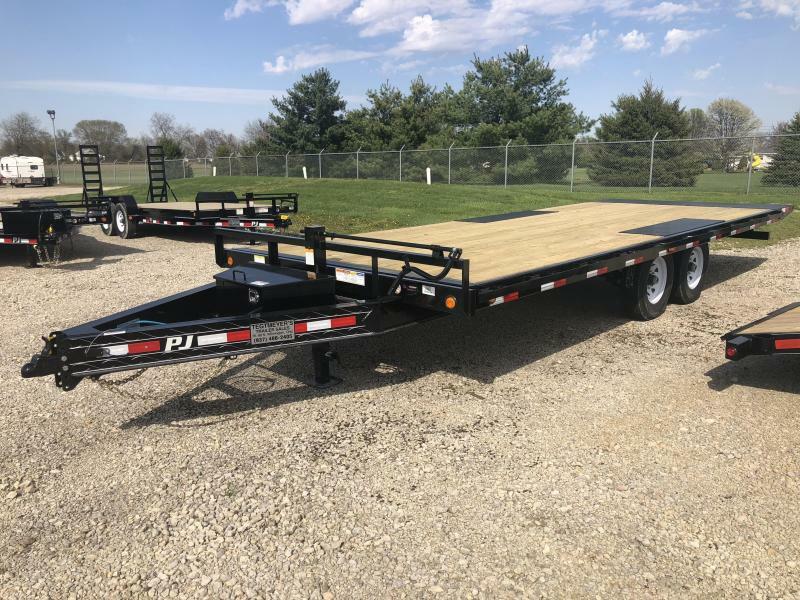 drop foot jack, heavy duty diamond plate fenders, stakepockets, rubber mounted lighting, and skip DOT reflective tape are standard features on all General Duty Equipment Trailers. 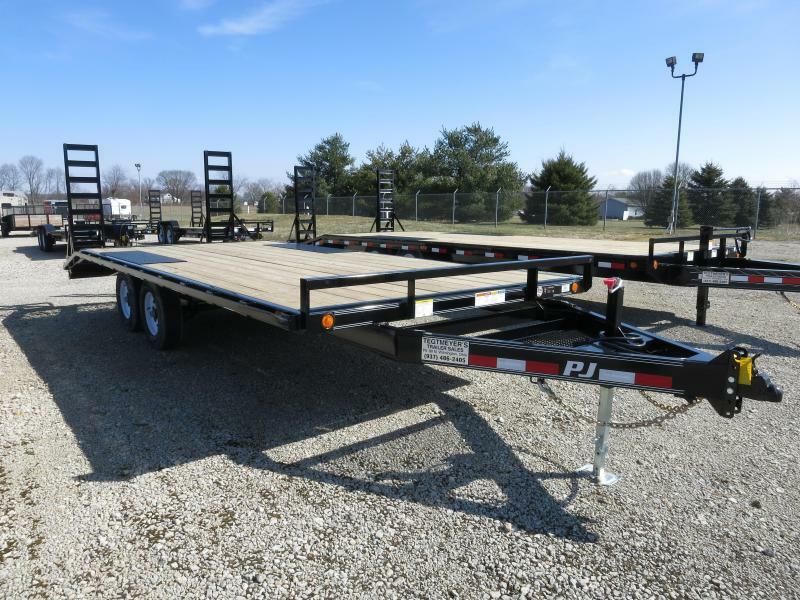 Our Professional Grade line is our best Equipment Trailer and is equipped standard with all our best features. 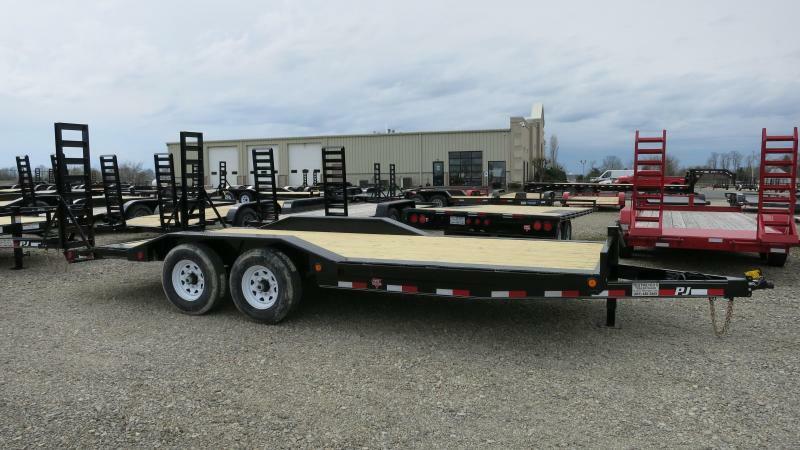 The frame and tongue sizes on 10,000 lb., 12,000 lb., and 15,000 lb. models are the same as the General Duty series but we make the crossmembers closer with 16 in. centers. These premium models feature 16 in. premium radial tires, a 12,000 lb. drop foot jack, and an adjustable coupler. 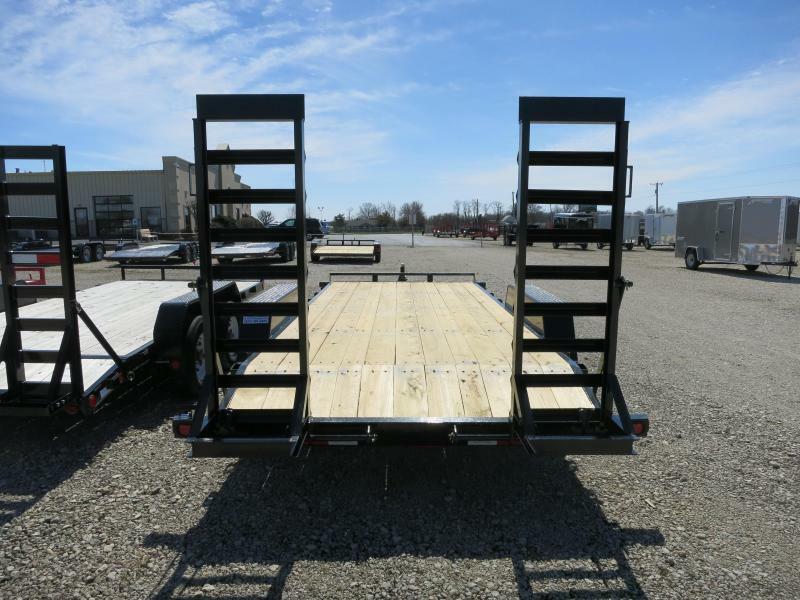 The 15,000 GVWR model features additional upgrades such as a HD cast iron adjustable coupler and heavy duty spring assist 5 ft. swing up ramps that use 4 in. 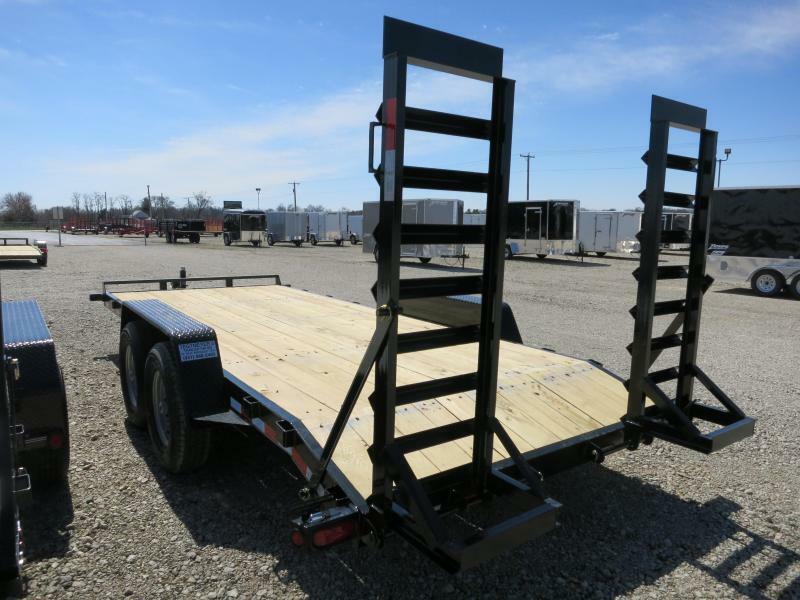 channel ramp frame runners for today's heavier skid steers and mini excavators. 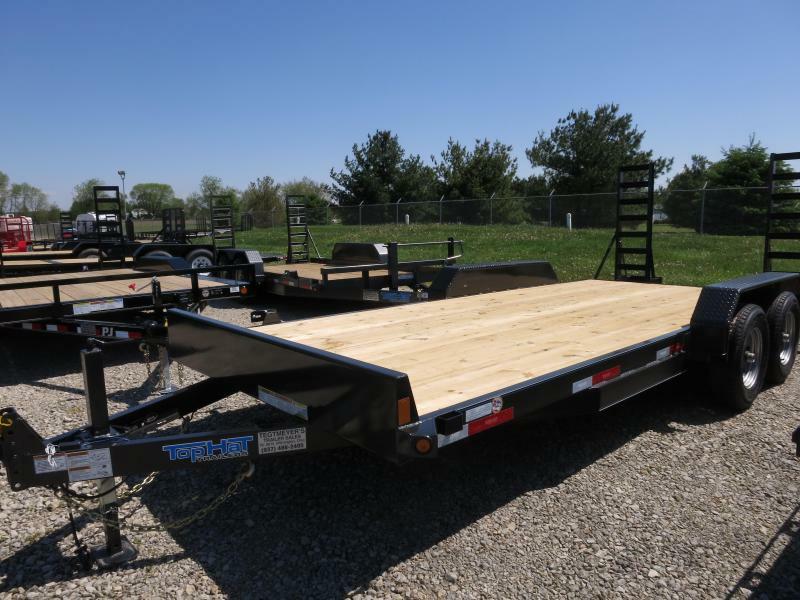 A tool box with lockable lid, full reflective tape, and lifetime LED rubber mounted sealed beam lighting with a sealed modular wiring harness are also included on our Professional Grade Equipment Trailers. 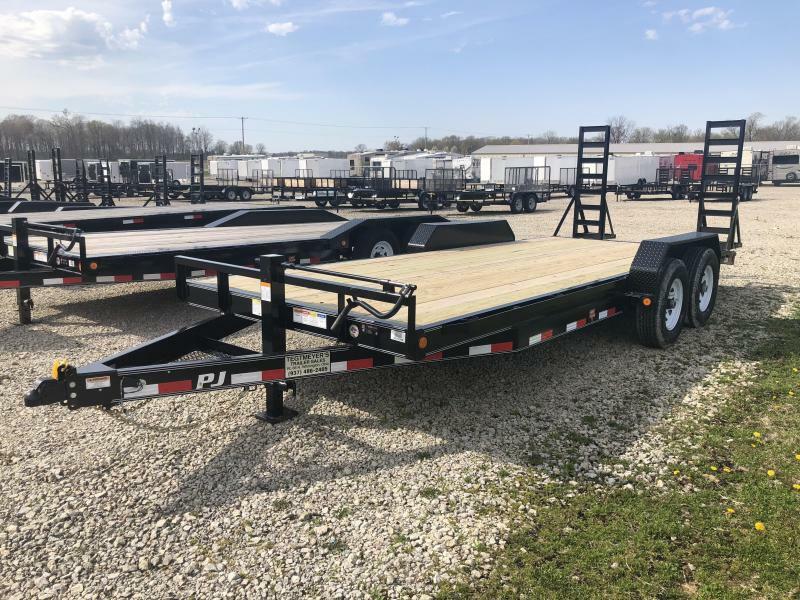 Heavy Duty frame with 24â€³ cross member spacing, 2 ft. dove tail, radial tires, rubber mounted sealed beam lighting in enclosed boxes with conventional wiring with gel filled connectors.